NPC provides support and connections through its passionate and experienced national team. It is guided by an engaged Board of Directors comprised of industry, research, investment, commercialization, and innovation veterans. Shelley brings over 20 years’ experience in Canada’s innovation and commercialization environment, both as an entrepreneur and as an innovation champion within not for profit and academic settings. In her previous roles, Shelley has helped researchers and companies navigate commercialization hurdles such as regulatory, IP, scale-up, R&D, and financing. She has partnered with countless regional and national organizations to leverage key expertise, strengths, programs, and funds to move these initiatives forward. As VP, Research and Business Development for Genome Atlantic, Shelley helped bridge the diverse interests and cultures of researchers and industry representatives to foster cohesive teams that formed over $60M of sector-relevant research and development projects. She also oversaw the management and development of those projects, identifying opportunities for expansion, partner and international market development, and liaising with key organizations needed to advance the objectives of the players. In this role, Shelley was an integral member of various national committees reviewing innovation, commercialization programs, and Canadian funding opportunities, and dealing with specific sectoral issues such as health care innovation, aquaculture and fisheries, agriculture, and forestry. Prior to NPC, Shelley was Chief Executive Officer of Synapse, a not-for-profit organization responsible for the University of Prince Edward Island’s applied research and industry services, ranging from technology transfer and partnership development to technology assessments and commercialization support. In this role, Shelley worked closely with members of the regional technology transfer community, as well as individual businesses and researchers, and the various economic development and innovation organizations that support them. King was awarded an MSc in Medicine and an MBA from Memorial University. She has served on innovation-related boards and committees such as the Aquaculture Association of Canada, Pan American Marine Biotechnology Association, Newfoundland and Labrador Association of Technology Industries, and the Genesis Centre (NL), and currently serves on the board of the Natural Health Products Research Society and Springboard Atlantic. Sue has been helping companies and organizations achieve their objectives for nearly 20 years. With a background in journalism, marketing and public relations, she has a keen ability to assess complex communities and complicated issues, and find the clear themes and solutions that connect them. Sue gained extensive experience in B2B and B2C communications as the Director of Client Service for Impact Communications, a full-service agency in Halifax. There, she led a team of creative, strategic, and IT experts to develop strong brands, campaigns, and websites to help companies, government departments, and not-for-profits powerfully connect with their target audiences. Sue went on to build a strong network in Canada’s research and innovation space as the Director of External Relations for Genome Atlantic where she played a central role in helping the company engage with businesses, scientists, economic development agencies, and governments. Leveraging key relationships, she led a range of regional and national initiatives including strategy sessions to raise awareness and responsible adoption of genomics technologies across a wide range of sectors. She has initiated multi-level government relations, issues-management, and fundraising initiatives; implemented organizational strategies, and subsequent change management. Her portfolio also featured the ethical and legal aspects of technology adoption, providing her with an extensive network of regulatory and policy experts across the country. Sue holds a Bachelor of Arts from Dalhousie University, and a Bachelor of Journalism from King’s College. She has served on numerous boards and committees, including BioNova’s BioFuture Working Group. Stephen is a forward-thinking, strategic problem solver with over 12 years in the international innovation space. With a background in biochemistry, Stephen has built this career on his scientific knowledge, fueled by his desire to use science to create real-world solutions. Most recently, Stephen was Director of Sales and Marketing at BioVectra, a contract manufacturing company serving a global client base. There, he gained extensive understanding of various manufacturing processes such as fermentation, and their role in new product development. He was also exposed to the regulatory requirements of Good Manufacturing Practices, Environment Canada, Health Canada, and the FDA. Most importantly, he garnered a reputation for developing mutually-beneficial business relationships with clients and partners, helping the company significantly expand its market share. Stephen was responsible for over $100 million in sales, providing extensive insight and leadership to project teams to ensure their viability. He also led corporate and academic research teams through the commercialization process, helping them manage issues in research, navigate regulatory compliance requirements, and negotiate intellectual property agreements. Stephen has a BSc from Mount Allison, and received his MSc at Memorial University. He completed his MBA with a concentration in marketing at Saint Mary’s University. Paul-Thomas brings deep expertise in international market evaluation, development, and investment analysis, as well as an extensive network within the global natural products and innovation space. Specialised in international business, Paul-Thomas has completed more than 60 initiatives in market development and foreign investment attraction in the life science and agri-food sectors. Most recently, he was an essential part of the Institute of Nutrition and Functional Food at Laval University where he managed international affairs and business development, working with private companies, universities, government officials, and institutional partners in Canada and countries such as France, Belgium, Spain, Netherlands, Germany, United-States and Mexico. Growing up in the seafood industry, Paul-Thomas developed at a strong interest in seafood byproducts valorisation, which led him to co-found a company specialised in marine ingredients from shrimp by-products. While residing in France, he founded PTL International, an agri-food business consulting firm, which he continued upon his return to Canada, leading his team to generate more than 300% growth over three years. Paul-Thomas has also worked in the French Embassy in Canada as a commercial trade officer and Quebec International (City of Quebec) in foreign investment activities allowing him to develop a strong knowledge of promotional strategies for Quebec’s natural and human resources at the international level. Fluent in Spanish, English and French, Paul-Thomas has lived and worked in many countries, including France, Peru, Spain, and Mexico where he worked in the Quebec Government Office. 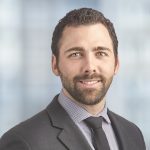 He completed his studies at Bryant College (R.I), Mount Allison University (N.B) and Laval University (QC) from where he graduated with a Bachelor’s degree and a trilingual MBA in International Business with Honours. He sits on the board of directors of the Young Leaders Circle of the International Economic Forum of the Americas. Colin’s career has been driven by a solid understanding of science and nutrition. From his work in an epidemiology research unit at a cancer center to his volunteer service on the Technical Committee of the Global Organization for EPA and DHA Omega 3s, each step in Colin’s career has enhanced his ability to help clients move natural products from concept to customer. Colin’s extensive background in commercialization and research gives him deep insights into the strategies and pathways involved. During his time at a Canadian contract research organization he helped a diverse roster of companies at various stages of the product development cycle, working closely with them to provide services such as clinical trials, product analytics, and regulatory advice. Colin has experience in both public and the private sector organizations, in roles such as marketing, sales, project management, research, and consulting. This extensive exposure to unique client needs serves him well in his day-to-day interactions with large and small companies, not-for-profits, investors, government agencies, and research institutions in Ontario. Colin received his Masters of Science (Human Health and Nutritional Sciences) from the University of Guelph. He currently volunteers as the Vice President of the Ontario Pharmaceutical Marketing Association. Colin is located at the University of Guelph, NPC’s node partner in Ontario. Dr. David Gauthier has over 20 years’ experience in the commercialization landscape. With a PhD in plant biology, David has a passion for science and technology, and its potential to make a difference through innovation in the real world. Along with his scientific knowledge, he has a wealth of business, finance, and technology transfer expertise developed through a diverse career in university research, technology commercialization and regulation, venture capital, entrepreneurship, federal government program management, not-for-profit management and governance, economic development, and management consulting. In each of his roles, he has been involved in the strategy, implementation, management, and measurement of innovation and commercialization, giving him unparalleled insights into the various programs, policies, and practices that can help companies evolve from start-ups to success. He has served as Director of Business Development with Performance Plants Inc. and as Vice-President with Foragen Technologies Management Inc., which managed a national venture capital fund specialized in advanced agricultural technology investments. 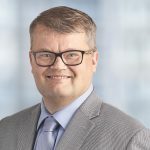 He was a Regional Director for the National Research Council Canada’s Industrial Research Assistance Program, and was the Chief Executive Officer of the Entrepreneurial Foundation of Saskatchewan. He has also operated a consulting company, advising entrepreneurs on corporate strategy and financing and assistance with various regulatory requirements. David has served on a number of boards for both profit and not-for-profit organizations, including AgWest bio Inc. and is former Chair of the Board of Directors of Genome Prairie. David was educated at Queen’s University where he obtained BSc Honours (Biology), PhD (Biology) and MBA degrees. Darren has been helping companies reach their potential for nearly 20 years. A born connector and analyst, he is keen to leverage his extensive list of global contacts to provide information and introductions that produce results. With a formal education focused on science (agricultural genetics) and technology transfer, Darren has been immersed in the commercialization of new technologies throughout his career. He’s worked in multiple countries with small and medium sized enterprises (SMEs), start-ups, multinationals, and various government agencies and programs, giving him a broad set of knowledge and tools to share with his clients. He’s led international distribution partnerships, global market launches, negotiations with subsidiary companies, patent portfolios, and been involved in countless reviews of investment opportunities. He has primarily focused on the sectors of agriculture & forestry, food & beverage, clean technology, and industrial biotechnology. Before joining Natural Products Canada, he worked extensively with Alberta Innovates where he worked with a number of SMEs in a range of sectors. One of his proudest moments was helping a start-up biofuels company obtain more than $10 million in capital and develop a strategic commercial partnership with a global oil and gas company. With NPC, he acts as the main point of contact for all Alberta- and British Columbia-based companies, research institutions, investors, support organizations and others interested in opportunities in natural products. 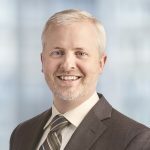 He connects people and organizations to key contacts at NPC, across the country and around the world, and provides guidance and advice on everything from intellectual property to regulatory and financial and competitive analysis. Gayan brings a solid background in the science and business of innovation. As NPC’s Business Analyst, Gayan is responsible for identifying market opportunities for sectors and subsectors within the natural product space. He is an avid researcher, comprehensively sifting through market information and data to assess trends, competition, opportunities, and risks, and applying industry best practices from companies such as Johnson & Johnson to evaluate that information. This translates to clear insights for NPC, and the companies, investors, and organizations we work with. Gayan’s experience straddles both public and private industry, and includes in-depth analysis and market penetration strategies for two pharmaceutical markets, as well as project management and program development in areas as diverse as chemical management in agriculture to drug treatment programs within provincial health care systems. 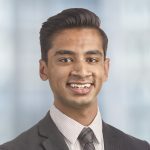 Gayan has a Masters of Science in Chemistry from the University of Prince Edward Island, and a Masters of Business Administration in Innovation from the University of Toronto. Mr. Robert Orr operates a specialized consulting company through which he spends most of his time as the CEO and Managing Partner of a Cuna del Mar LP, which is a private equity fund, based in the US. Cuna del Mar is concerned with global food security and maintaining the health of our oceans. In particular, the company specializes in making investments in environmentally sustainable aquaculture. The fund’s primary objective is to invest in transformational technologies and platforms capable of bringing about a paradigm shift in existing aquaculture practices. Cuna del Mar currently has investments in the US, Canada, Mexico and Panama. Orr’s management career spans over 35 years at the senior management level in the private equity investment business, marine biotechnology, nutritional ingredient, food retailing, food wholesaling and retail advertising industries. His breadth of experience ranges from creation and management of several startup companies to responsibility for large multi-national corporate division operations with annual revenues in excess of $1 billion. From 1996 to 2011, Orr was the co-founder, CEO and Chairman of Ocean Nutrition Canada Limited (ONC) which was, for many years, the world’s largest ingredient supplier of Omega -3s, made from fish oil, to the Dietary Supplement and Functional Food Industry. During that time, Orr was responsible for the startup, financing and growth of ONC. By focusing its efforts on science based products, innovative marketing approaches and developing new technologies, ONC built a unique and profitable position in the nutrition sector. At one point ONC produced nine consecutive years of greater than 35 percent CAGR and grew from three employees to over 500, with customers in over 40 countries. Under Orr’s leadership ONC built a major R&D centre Halifax NS and manufacturing facilities in NS, Wisconsinand Peru. During his tenure, the company received numerous awards, both national and international, for its innovation and extraordinary rapid growth. In 2012, ONC was sold to the Dutch company, Royal DSM N.V., for $540 million. Orr was also a co-founder of both the CRN Omega-3 Working Group (2001) and the Global Omega-3 Trade Association (GOED) (2006) and served as the inaugural chairperson of both organizations. These two organizations brought new self-regulating standards to the global omega-3 industry and significantly advanced the growth of the Omega-3 category. Orr also serves on the following: Chair of the Board, Slanmhor Pharmaceuticals Inc., Vice Chair of the Board, ABK Biomedical, Chair, Board of Directors Community Foundation of Nova Scotia, Past- Board of Directors of Genome Canada, Past Board of Directors of Genome Atlantic, Board of Directors of Nova Scotia Research and Innovation Trust. (NSRIT), Advisory Board, Dalhousie University School of Business, Advisory Board, Cape Breton University, Centre for Sustainability in Energy and the Environment. Dr. P. D. (Pete) Desai is President of Desai & Desai Inc., a consulting company he started in January 2001 after his retirement from Dow AgroSciences. Dr. Desai had a long and successful 27-year career at Dow Chemical, DowElanco and Dow AgroSciences. His various roles provided him with an excellent understanding of research, sales, marketing, business and consumer needs. Dr. Desai grew up on his family farm in Belgaum, India, attended the University of Poona to study agriculture; completed Master’s degree at the University of British Columbia (1969) and PhD at University of Guelph in Plant protection (1972). Since his retirement in 2001, Dr. Desai’s main focus is in supporting start up agricultural companies and grower / Department organizations to develop and implement strategic business plans; build research partnerships to develop technology / products with strategic action plans to align them with funding and industry partners. He has dedicated his time to sharing his knowledge with startup agricultural companies and organizations. Dr. Desai has volunteered on over 15 boards, offering his expertise and knowledge as a way to give back to society. He has chosen to contribute in this way becaus e of his deep appreciation for the opportunities the agricultural industry has given to him throughout his career. Member of the Blue Ribbon Panel for Agriculture and Agri-Food Canada, Ottawa, to review the AAFC research program in June 2003. Member of Flax 2015 – Develop Flax 2015 Strategy for the Flax Council of Canada 2007. Developed the Mustard 21 Strategic Plan for the Saskatchewan Mustard Development Commission (SMDC) and Canadian Mustard Association 2007 – 2009. 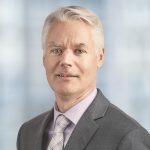 Denis Boyer is a Director at Avrio Ventures in Montreal, Quebec, providing over 25 years of agricultural investing and operational experience to the Avrio team. Boyer is a Professional Agronomist with a Bachelor of Science (Agriculture) degree from McGill University. Prior to Avrio Ventures, Boyer was an Investment Manager with FCC Ventures. The majority of his investments focus on value-added food processors with high growth potential, on ag-biotechs and on companies with strong technological advantages. Previous to FCC, Boyer was an Investment Adviser with SGF Soquia, and before that was the Director of Agriculture and Food Processing Accounts with the Royal Bank of Canada and a Sales Analyst with the Bank of Montreal. Boyer has built an impressive network in the Food and in the Ag-related Biotech Industries. He has successfully managed loan and equity portfolios and has provided term debt, sub debt and equity financing to several companies to finance acquisitions, expand, to assist with working capital and to restructure debt. Dr. Adel El-Mowafi has 27 years’ experience in aquaculture and applied aquaculture research. He is a veterinarian by training and has Master’s and Ph.D. degrees in Fish Nutrition. Beside his academic education in Egypt and Norway, Dr. El-Mowafi has completed business and management programs in Canada and England, where he was enrolled in Ivey Business School’s Foundation Leadership Program and Bradford University School of Management Manager Tool Kit program. Dr. El-Mowafi has worked in both academic and industrial environments in Egypt, Canada and Norway. For the last fourteen years, he has been working for EWOS Innovation first as a senior scientist then as Managing Director. EWOS Innovation is the R&D body for EWOS – an international fish feed company operating in Norway, Canada, UK, Chile and Vietnam. EWOS Innovation is a unique applied R&D company with R&D facilities in Norway, Chile and Vietnam and a pilot plant producing aquafeeds plus several sea sites with production capacity of 2500 tonnes of farmed salmon. Since 2000, Dr. El-Mowafi has been an Adjunct Professor in Animal and Plant sciences at the Faculty of Agriculture, Dalhousie University, Nova Scotia. He also holds a black belt of Six Sigma since 2006 and earned his Permaculture Designer certification from Permaculture Research Institute in Australia in 2015. Dr. Robert Gilmour, Jr. is UPEI’s Vice-President Research and Graduate Studies. An experienced administrator and well-published researcher who also holds several patents, Dr. Gilmour has managed a diverse research portfolio encompassing multiple funding sources while maintaining an active laboratory. Dr. Gilmour’s experience in inspiring and leading multidisciplinary research teams—especially those addressing important issues in biomedical and health science—will be vital to the University, as UPEI continues to work strategically with academic, and private- and public-sector partners to advance discovery. Dr. Gilmour comes to UPEI from Cornell University in Ithaca, New York, as former Associate Dean for Researchand Graduate Education at the College of Veterinary Medicine. Previous to that role, he served as a professor of physiology in the Department of Biomedical Sciences and associate professor in the Department of Physiology at Cornell; visiting professor at the University of Milan; associate professor, assistant professor, and fellow in the Department of Medicine at Indiana University School of Medicine; research associate atthe Krannert Institute of Cardiology; and US- USSR exchange scientist at the All-Union Cardiology Research Center in Moscow. Dr. Chris Lannon holds a PhD in Cancer Biology from the University of British Columbia, and an MBA (Finance) from McGill University. He joined the McGill Centre for the Convergence of Health and Economics (MCCHE) in 2012 as Managing Director. Dr. Lannon has extensive experience in technology commercialization, having worked as a biotech industry consultant and as a scientist developing products for a stem cell and biological sciences company. Dr. Lannon has considerable knowledge of business development, licensing, and partnering in technology-intensive fields. 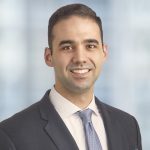 Prior to joining the MCCHE, he worked as an Associate Director of a boutique investment bank in Montréal, specializing in the healthcare sector. He has 10 years’experience in biomedical research, has published 13 peer-reviewed publications, given more than 70 conference presentations and co-authored a stem cell biology textbook. Dr. Lannon is Treasurer and a Director of Action Against Hunger Canada (Action Contre la Faim Canada). David Maasz started his first venture, one of the very first internet businesses in Hungary, at the age of 19. He has been a serial entrepreneur, starting over 10 innovative companies in the past two decades, with successes, failures, mergers and buyouts – experiencing all different stages of an enterprise. Today, Maasz has business angel investments in different sectors worldwide and a passion for teaching and encouraging entrepreneurs, mentoring and investing in young people, and fostering startup development on international level. His boutique investment firms – AIP Worldwide, provide smart capital, mentoring, geographic market access support and business development services in Central and Eastern Europe, Germany, North America and China to bring innovative products to those markets. Maasz is committed to social engagement and believes in grassroots initiatives of civil society to make a positive change in the world. He is a frequent speaker on entrepreneurship around the globe, including Global Entrepreneurship Week, Kairos Summit and the G20 YES. He has been Board Member of the Chamber of Commerce in his hometown, and sat at the Foreign Economic Committee of the Hungarian Chamber of Commerce and Industry in Budapest. Maasz has been working for two terms as Member of the European Parliament of Enterprises in Brussels and as an independent expert to the European Commission on SME development, innovation and research. Besides over ten years of deep knowledge in European affairs, David has experience in both US and China diplomatic and economic relations. In 2011, Maasz founded Entrepreneurship Foundation Hungary, a private, not-for-profit organization, with the mission of inspiring talented, innovative people to become entrepreneurs and make the world a better place. Based on his experiences he also founded EFxGlobal, a worldwide alliance of successful individuals to share their experience in developing successful entrepreneurial ecosystems, and to influence and advise policymakers to create Global Positive Impact. Dr. Geneviève Tanguay holds a PhD from McGill University. She was, until very recently, Vice- rector Research, Creation and Innovation at Université de Montréal where she was appointed in 2011. During her tenure she also served for six months as Vice-rector International relations. From 2007 to 2011, she was Assistant Deputy Minister at the Quebec Ministry of Economic Development, Innovation and Exportation. As such, she was responsible for developing the province strategies in research and innovation. In 2010-2011, Dr. Tanguay presided at the forum of innovation deputy ministers of Canada. She was also Secretary General of the FCAR which is today Fonds de recherche du Québec (1993 to 1998). She is currently or until recently was a member of the board of directors of the following: ArcticNet, Institut de recherche en biotechnologie végétale, Calcul Québec (president), MEDTEQ Consortium, Hôpital du Sacré-Coeur de Montréal, Centre de liaison sur l’intervention et la prévention psychosociales, CIRANO, Regroupement en soins de santé personnalisés au Québec and Montréal InVivo. Dr. Tanguay is a seasoned c-level manager with an extensive track record in managing research, both fundamental and applied, with a strong awareness of the need for connecting research with industry and generating applicable, marketable results. The position she held as Vice-president of the Centre québécois de valorisation des biotechnologies from 1998 to 2007 is of particular interest for NPC. She oversaw liaison and transfer activities as well as seed funding and investments in various sectors but mostly nutraceuticals in collaboration with INAF, green chemistry, animal science and marine biotechnology. Dr. Tanguay was a major supporting partner in the creation of INAF and of INAF’s knowledge transfer program to industry partners which eventually grew into projects like BENEFIQ. Nutrition Capital Network (NCN) is an organization that connects investors with high-potential growth companies in the nutrition and health & wellness Industry. NCN hosts four Investor Meetings each year: an East Coast Spring meeting (New York), a West Coast Fall meeting (San Francisco), a European investor meeting in May (Geneva, Switzerland), and an annual half-day meeting in the Fall (Las Vegas) dedicated to ingredients and technology. NCN is an independent company that depends on the subscriptions its investor members and sponsors (it takes no fees associated with any transactions that result from its meetings) and presenter fees. Since being founded in 2007, more than 520 companies have presented at 31 NCN investor meetings in the United States and Europe from a dealflow list of more than 2,600 applicants. Through 2015, 56% of NCN presenting companies had completed some form of transaction. Grant founded NCN in 2007 and previously Nutrition Business Journal in 1996, serving as Publisher, Editor-in-Chief and manager of NBJ’s research and publishing team for more than a decade before selling the business to Penton Media. He has served as a lead consultant or principal advisor on proprietary consulting, research, and strategy development assignments in the both the nutrition and environmental industries, in addition to acting as a third-party advisor to several financing and M&A transactions and as an independent investor and/or board member in five companies besides his own. Grant has represented the nutrition and environmental industries in many government and business forums, serving on advisory committees for the United Nations, OECD, U.S. EPA and U.S. DOC. Grant is a native Canadian and has an B.S. degrees in Conservation & Resource Studies from the University of California, Berkeley. He resides in San Diego, California and is an accomplished gardener, puppeteer, cartoonist, author, theatrical performer, soccer player, golfer and Scottish dancer. As the managing partner of the Prince Edward Island Business unit Kathy’s role is to lead a highly effective team to high performance. It is her role to ensure the business unit achieves budgeted financial performance as well as maintains a strong brand in the market place. She is also responsible for leading a culture of talent development to create a strong succession plan for the firm. Her role requires a strong business acumen which allows her to balance short-term and long-term business perspectives as well as innovate and challenge the status quo. As part of her role she is part of the senior leadership team for the firm and involved in the development of the firm strategy as well as developing tangible plans for execution of the strategy. Kathy also continues to maintain client relationships and continues to provide accounting, tax, assurance and advisory services to various clients in various industries. For many years Kathy was a consultant for Farm Business Advisory Services and has been involved in many farm succession plans and operational reviews over the past number of years. Kathy has been involved in many not for profit Boards and recently chaired the Holland College Board of Governors. In her role as chair she worked closely with the President to drive the mission of the college forward. As chair she was responsible for ensuring good governance, a focus on mission, priorities and guiding the board in fulfilment of its mandate. Her role as chair allowed her to understand the balance required to manage divergent interests that are present in any dynamic organization. License to practice Public Accounting in P.E.I. Patti Miller has extensive experience in both government and the grains and oilseeds industry. In April 2012, Ms. Miller joined the Canola Council of Canada as President. While at the Council Ms. Miller led the development and implementation of a new strategic plan and guided the industry to successful resolution of several challenging trade issues. Prior to joining the Council, Ms. Miller worked at Agriculture and Agri-Food Canada (AAFC) in Winnipeg where she managed large-scale program delivery for several years. During her career with AAFC she was responsible for working with Canadian grains and oilseeds producers and industry on policy, trade, market development and research issues in order to facilitate sustainable, profitable market growth in the sector. Prior to her executive work with AAFC, Ms. Miller was Communications Manager with a multi-national agri-food company in Winnipeg where she provided leadership on government relations, corporate and employee communications. Ms. Miller holds an M.Sc., Agricultural Economics from the University of Saskatchewan.